The University of Texas MD Anderson Cancer Center retained its standing as the top cancer care hospital in the nation for the second consecutive year, according to U.S. News & World Report. The publication’s 2016-17 Best Hospitals for Cancer graded cancer centers from 0-100 on a variety of categories such as reputation with specialists, volume of high-risk patients, patient survival and safety, nurse intensity and advanced technologies. The purpose: Help patients make more informed health care decisions. MD Anderson, often lauded for its mesothelioma treatment, acquired the only perfect score — a notable accomplishment. Memorial Sloan Kettering Cancer Center and Mayo Clinic placed second and third in top cancer centers, respectively. U.S. News & World Report analyzed nearly 5,000 medical centers — including 902 cancer centers — in 25 specialties, conditions and procedures for the latest Best Hospitals rankings announced last week. The publication selected Mayo Clinic for top honors in the overall Best Hospital Rankings. Those rankings included a Top 20 Honor Roll for facilities that excelled in delivering exceptional treatment in multiple areas of care. For example, Mayo Clinic ranked second place in cardiology and heart surgery, as well as orthopedics. MD Anderson also scored highly in other specialties, including ear, nose and throat (fifth place) and gynecology (seventh place). It has stood as the top cancer care hospital in four of the last five years. The rankings are especially significant for patients and families battling through a diagnosis of mesothelioma, the rare and aggressive cancer caused typically by earlier occupational exposure to asbestos. Only the mesothelioma specialty centers, like the one at MD Anderson, can provide the latest, multidisciplinary care that is critical for a rare, complex cancer like this. Many hospitals do not have the expertise to handle it effectively. The majority of oncologists rarely see it, and they don’t understand its intricacies. 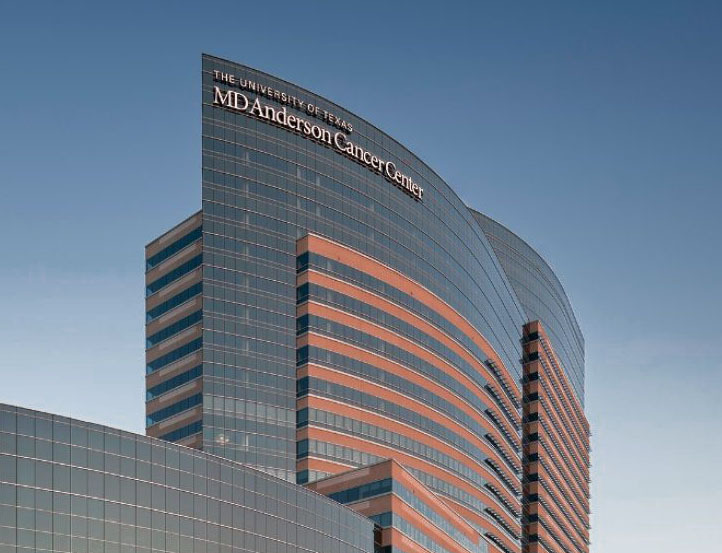 MD Anderson has landed in the top position for cancer care 11 times in the last 16 years. Oncologist Dr. Anne Tsao, mesothelioma program director, is heavily involved in clinical trials. She works with thoracic surgeon Dr. David Rice and radiologist Dr. Daniel Gomez, whose expertise includes Intensity Modulated Radiation Therapy (IMRT) after surgery. Dr. David Sugarbaker, who left for the Baylor Lung Institute in 2014, launched the International Mesothelioma Program at Brigham and Women’s. Thoracic surgeons Dr. Raphael Bueno and Dr. Abraham Lebenthal have taken that program to new heights. Lebenthal also serves as a medical officer at nearby VA Boston health care system. Thoracic surgeon and mesothelioma pioneer Dr. Robert Cameron is praised for his leadership and innovative thinking. He started the Pacific Meso Center (PMC) and has raised millions of dollars for mesothelioma research. He splits his time with the local VA, where he handles mesothelioma cases. His lead researcher at the PMC is staff scientist Dr. Raymond Wong. Thoracic surgeon Dr. Jacques Fontaine, who trained under Sugarbaker in Boston, became director of the mesothelioma program in 2014 and expanded its reach. In 2015, Moffitt became the first center in the U.S. to open a mesothelioma clinical trial involving transarterial chemoperfusion. The research program is headed by Dr. Scott Antonia.